This item has minor scuffs on leather exterior, minor snagging on the fabric, and visible darkening along with dirt marks on the exterior fabric/leather and on handle straps as well, minor stain marks in the lining. Overall, it is in fair condition. Chanel known for its classic and chic handbag styles is one of the most coveted brands in the fashion dome. With a range of exquisite handbags to choose from, Chanel brings you yet another marvel, the LAX Accordion shoulder bag. Designed from a combination of cream leather and woven fabric, the shoulder bag features dual chain straps joined together with a single handle. 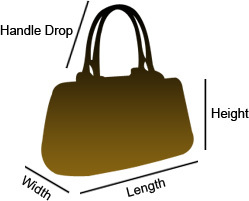 The bag has a fabric-lined interior housing one zip pocket.